When it comes to dreads, the journey is often long and frustrating. They seem to grow, shrink, loosen, or tighten beyond belief and all of that is nearly true. That will happen to you at some point along your journey. You might even start to think that your dreads have a mind of their own. 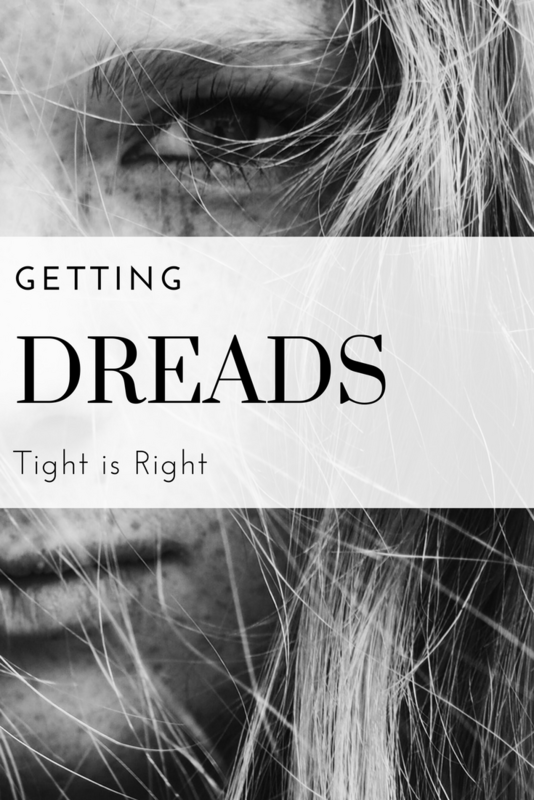 Truth is, if your dreads are tight, things are more likely to go right. Lots of people with a fresh set of dreads don’t pay much attention to them loosening in the beginning, but this can be detrimental to the overall look of your future dreads. If you are trying to get a head start on a successfully dreaded head, then it might be a bit painful. Tight dreads will make your scalp sore for the first day or so. It’s just like a tattoo or getting your braces tightened. It’s a little painful but will be totally awesome in the long run. It’s worth it to find someone who is experienced and who knows how important it is to start your dreads tightly. Research someone who can help you and give you the right advice to start your journey and give them plenty of time and space to work with. This is the start of something very important because it’s not something you can quickly turn your back on without basically shaving your head. Maintenance, maintenance, maintenance, it can’t be said enough. After getting a positive start with your dreads, it’s up to you to make sure they stay well-maintained and healthy. That might occasionally mean that you will need to tighten them yourself. There are tons of tools to help you with this but they key is to do it right away. If you feel a dread start to loosen, don’t wait until tomorrow or the end of the week. They can loosen up quickly if they are wet or while they are being tossed around in bed. They can also be very difficult to tighten up if they get too loose. Over the life of your dreads, the tighter they are in the beginning and during the growing phases, the more likely they will continue to stay tight and look their best. Keeping things healthy is so crucially important but keeping them tight and healthy is going to yield the best dread results as you keep them for years to come. Getting dreads is a real commitment and should not be taken lightly. They are totally awesome but they require the right attention to keep them awesome. Your hair will go through changes and if you don’t keep up with those changes then your dreads won’t look the way you want them to. Besides, a healthy, shiny, and tight set of dreads is the goal, after all.